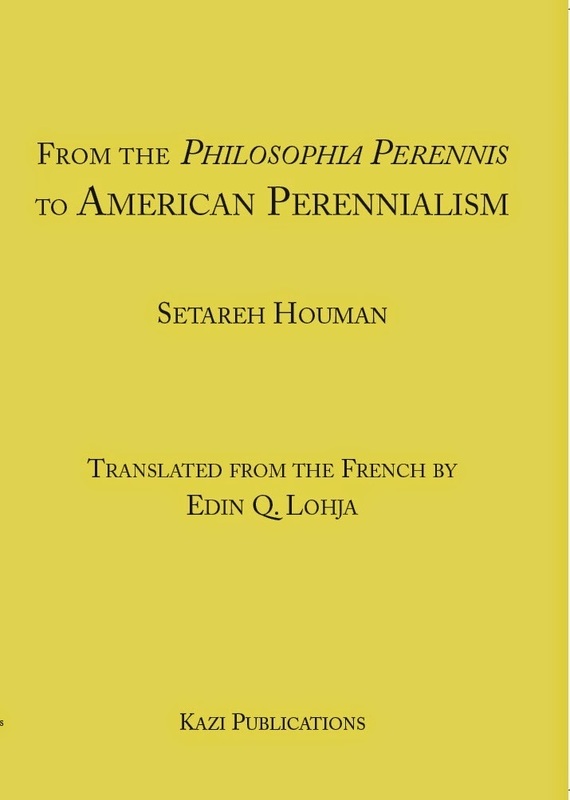 Now available in English: Setareh Houman's De la philosophia perennis au pérennialisme américain (Milan: Archè, 2010) has been published as From the Philosophia Perennis to American Perennialism (Chicago: Kazi, 2014). Paperback, $59.95, currently $53.96 on Amazon. The English book is substantially the same as the French original, already discussed on this blog, but I am told that the section on Frithjof Schuon has been revised. The search for an eternal wisdom of divine origin, transmitted from the very dawn of humanity, but fragmented and partially lost, is a recurring theme in the history of Western esotericism. This theme was most notably expressed at the beginning of the 20th century by a form of thought called Traditionalism, above all from the moment that the French author René Guénon became its spokesman with his anti-modernist writings. The term Perennialism, however, refers more specifically to the form this thought has taken in the United States, as represented primarily by Frithjof Schuon and his followers, namely, Seyyed Hossein Nasr, Huston Smith, and a second generation of writers such as James Cutsinger. 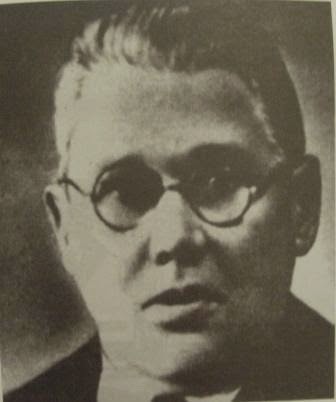 Frithjof Schuon is regarded as the thinker who gave perennialist philosophy its definitive synthesis, and as the first perennialist to assume an initiatory function. Founder and spiritual master of a neo-Sufi order in the United States, Schuon based his perspective on the intellect and on the nature of things, and he oriented his own teaching toward an esoterism per se, personified by the Virgin Mary. The idea of religio perennis or sophia perennis, a set of metaphysical principles revealed by heaven and partially restored by each genuine founder of a new religion, became, in Schuon's metaphysics, the transcendent unity present in the essential core of every religion. This metaphysical view and the spiritual method introduced by Schuon were adapted by two of his followers, the Iranian professor Seyyed Hossein Nasr, an authority in Islamic Studies, and the American scholar Huston Smith, who specialized more in transpersonal experiences. Ananda K. Coomaraswamy is an independent figure among American perennialists, but shares their perspective. This new meaning of esoterism, in contrast to esotericism, applies to certain currents in Western culture that are historically related and show certain similarities, and that point toward a religionist approach to the study of religions an approach that is often criticized. A blog, Arturo Reghini and Roman Traditionalism. A Facebook page, Arturo Reghini: Roman Traditionalism and Italian Esotericism. It is thanks to my encounter with Reghini (and Guenon, who Reghini first mentioned to me) that I decidedly broke with what “occultist” or Theosophical tendencies I still possessed, and came to acknowledge the complete separateness and transcendence of initiatory wisdom with respect to all profane culture, and particularly modern. (quotation taken from Giudice's blog). You can also read about how Evola slapped a German soldier in Capri, and of course about Reghini himself. The Facebook page carries periodic announcements that may be of interest to readers of this blog, for example of a paper Giudice is due to deliver on April 23, 2014, at Ben Gurion University, on "‘Why is the last mile the hardest mile?’: Mountaineering as an metaphor for spiritual advancement in Julius Evola and Aleister Crowley." 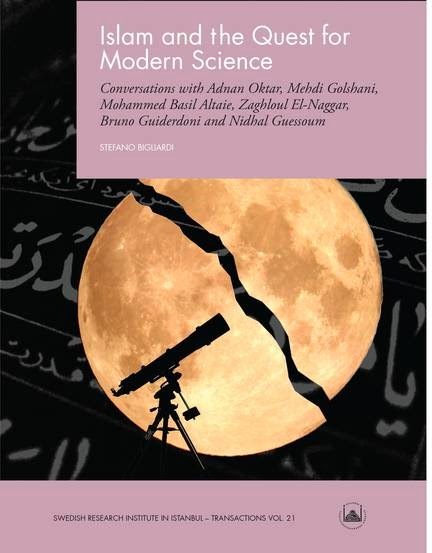 Stefano Bigliardi has just published Islam and the Quest for Modern Science.Conversations with Adnan Oktar, Mehdi Golshani, Mohammed Basil Altaie,Zaghloul El-Naggar, Bruno Guiderdoni and Nidhal Guessoum (Istanbul: Swedish Research Institute in Istanbul, 260 SEK). Guiderdoni is a scientist--an astrophysicist, director of the Lyon Center for Astrophysics Research, well known for his 1998 paper on "Semi-analytic modelling of galaxy evolution in the IR/submm range"--and a Traditionalist Sufi, following Shaykh Abd Al Wahid Pallavicini of Milan. He is less famous than, for example, Adnan Oktar, also known as Harun Yahya, the Islamic creationist whose very heavy Atlas of Creation was given away across the world in 2007. But his views are rather more sophisticated. Those interested may watch Guiderdoni lecture in English (University of St Andrews, 2008) or lecture in French (c. 2013), or can read Bigliardi's book. Foreign Affairs identifies Dugin as "Putin's brain"
Alexander Dugin has been becoming more famous in the West since the Russian re-conquest of the Ukraine, as the Western media searches for ideological explanations for Russian actions. 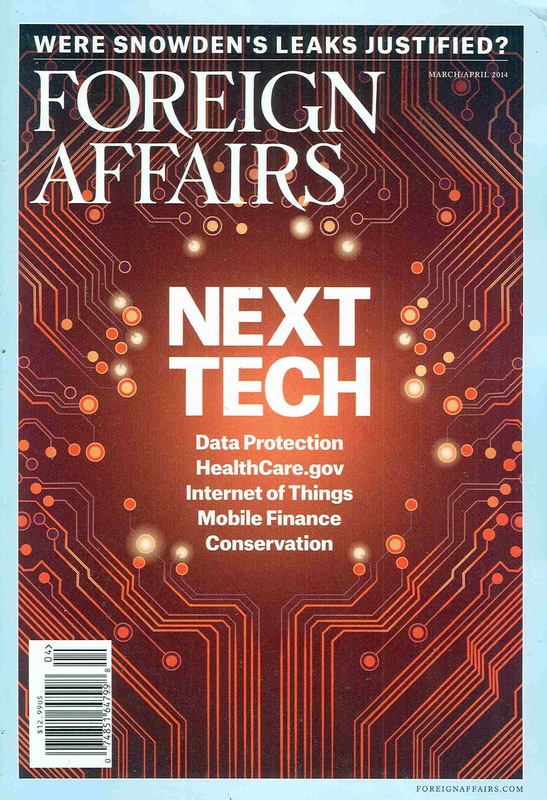 Now Dugin has been identified as "Putin's brain" by Anton Barbashin and Hannah Thoburn, writing in the very influential US journal Foreign Affairs. Dugin’s ideology has influenced a whole generation of conservative and radical activists and politicians, who, if given the chance, would fight to adapt its core principles as state policy. Considering the shabby state of Russian democracy, and the country’s continued move away from Western ideas and ideals, one might argue that the chances of seeing neo-Eurasianism conquer new ground are increasing. Although Dugin’s form of it is highly theoretical and deeply mystical, it is proving to be a strong contender for the role of Russia’s chief ideology. Whether Putin can control it as he has controlled so many others is a question that may determine his longevity. I am not so sure. Yes, post-Soviet Russia did need a new narrative, and yes, today's Russia has found a new narrative, and yes, Dugin's geopolitical views and neo-Eurasianism coincide with that narrative. But I am not convinced that philosophy produces invasions. Vladimir Putin has a brain of his own, and Russia has interests of her own, and geography has a logic of its own. Catherine the Great did not need neo-Eurasianism to conquer the Crimea in 1774. As a historian, I generally find that ideology contributes to events of this kind, but does not drive them. 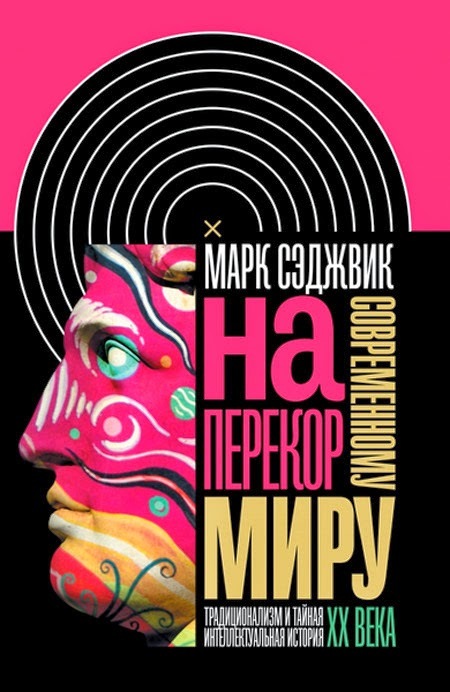 My book Against the Modern World has just come out in Russian translation, as Наперекор современному миру: Традиционализм и тайная интеллектуальная история ХХ века, published by NLO (New Literary Observer) in Moscow. The cover is amazing--see image to the right--and the book also contains some new material not included in the original English edition, mostly dealing with Traditionalism in Russia. So far, the glossy lifestyle magazine Собака/Sobaka has voted it one of the five most interesting non-fiction books of the season, while the rightist-nationalist newspaper Завтра/Zavtra (discussed in the book) has concluded that it is not worth getting out from under the blanket for it. The Zavtra review is very extremely hostile and rather funny.